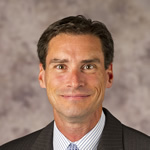 Steven D. Schwinn is an associate professor of law at the John Marshall Law School in Chicago, where he teaches, writes, and practices in the areas of constitutional law and human rights. He serves on the Board of Advisors of the Chicago Lawyers Chapter of the American Constitution Society, and he is co-founder and co-editor of the Constitutional Law Prof Blog. He previously taught at the University of Maryland School of Law and the George Washington University Law School. Before going into teaching, he served as assistant general counsel at the Peace Corps.